At Llanwern High we have two tiers of support within the school. Each faculty has a specialist member of staff assigned to support ALN pupils within that department. 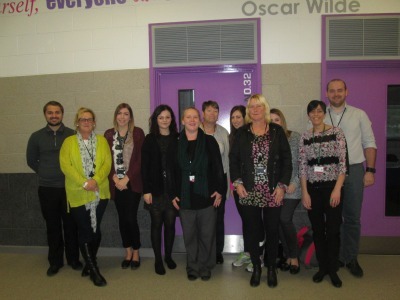 We also have a team of staff dedicated to the nurture provision of the pupils and accommodate withdrawal support. At Llanwern High School we ensure all needs of pupils are recognised and met by a team of experienced and sympathetic staff, who support pupils throughout the whole range of ALN needs. All students with additional learning needs are supported, regardless of which stage they are at according to the SEN code of practice. Support can vary from a small teaching group, with LSA support, or a mainstream class with LSA support. There is also group withdrawal and one to one support for pupil’s who require it. SPLD Service, Educational Psychologist, School counsellor’s, Youth worker, RNID, COMIT – speech and communication intervention, Careers Wales, School Nurse, GEMS, Families First, GVIS, Barnados, Be Heard advocacy service.